Plant confidently with these low-maintenance, continuously flowering plants that make a positive impression. Shopping at a garden center can feel overwhelming. While your eye may be drawn to unique flower shapes, colors and textures, keep in mind that putting the right plant in the right place is the key to success. And using tried-and-true options can be just as appealing as trying the Next New Thing. u look like you hired a landscaper. Planting these reliable varieties require little or no maintenance. They also tend to flower continuously and always make a positive impression on guests to your garden. 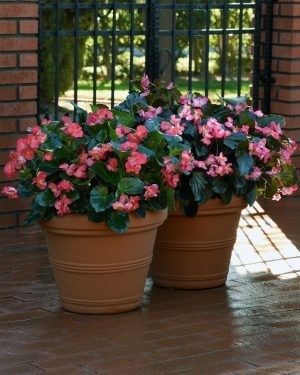 SunPatiens® is a series of Impatiens that deliver exceptional outdoor performance, tolerating all weather in Spring, Summer and Fall. They also thrive in sun or shade spaces, making it easy to place them wherever you want bright color. 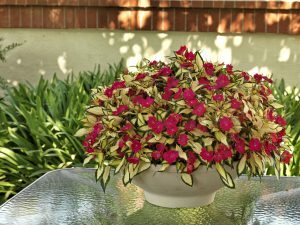 SunPatiens are generally resistant to disease, which means more flowers longer with less worry. Another easy-to-grow flower for sunny mid-border landscapes is Bonanza French Marigold. These are large, double-crested blooms in the orange and gold color family. They grow under a wide range of weather conditions, and make a gorgeous impact then packed tightly together. The new breeding going into begonias over the past decade has been fantastic, and has produced some must-have plants. 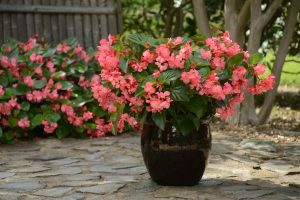 Megawatt is an interspecific begonia that gives you massive garden power. They grow and fill in fast when planted in the garden or in large containers. Because they take both sun and shade, they make excellent balcony choices when you’re looking to thrill your outdoor spaces. The sturdy flower stems of Megawatt hold the blooms above the glossy foliage for maximum color. Its drought tolerance and no-maintenance growth make this a true winner. Whether you lead a busy life or struggle with keeping a green thumb, the flowers above are forgiving and ready to make you look like a pro. Use these tried-and-true options and bask in a successful garden space.